Exploring a beautiful coastal locale gets a lot easier when the guest room you’re staying in not only floats on the water, but separates from the rest of the hotel for solo adventures. All of the activities you’d most want to partake in while staying in a beautiful place – like snorkeling, swimming and enjoying relaxing meals on the water – can be enjoyed right from your own private space, and you don’t even have to step foot on land. 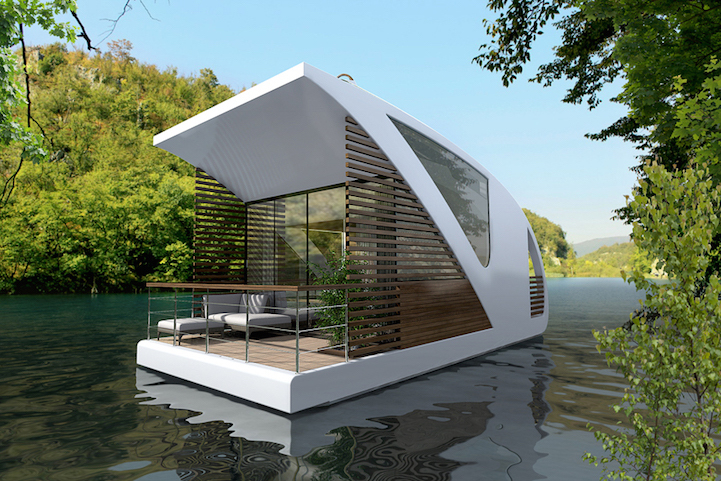 Serbia-based design studio Salt and Water envisions this floating hotel concept as a way to promote water-based tourism while minimizing visitors’ impact upon the natural environment. 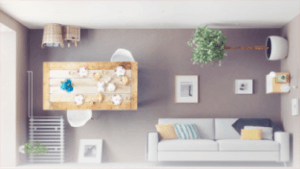 A central hub close to land houses communal functions like the reception desk, a restaurant, offices and event spaces. 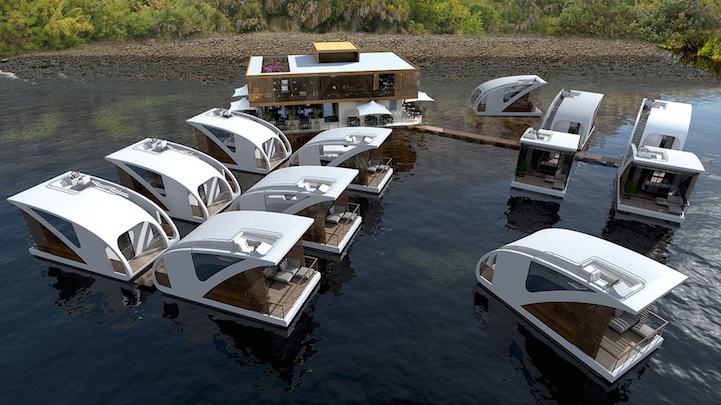 A constellation of floating guest rooms connects to this hub via twin docks. 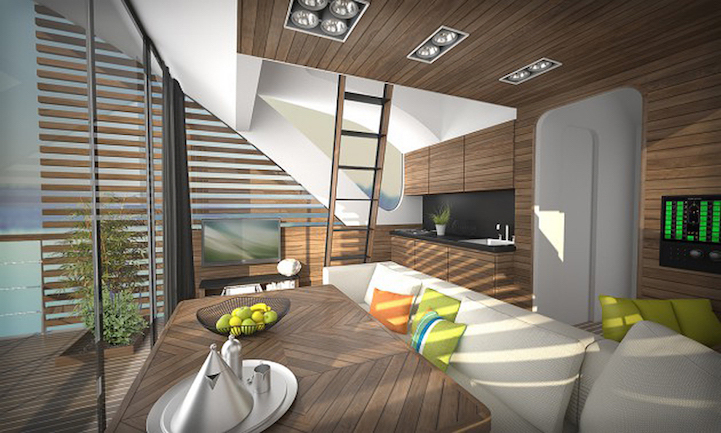 The ‘Catamaran Apartments’ can be tethered to the dock, or navigated independently. 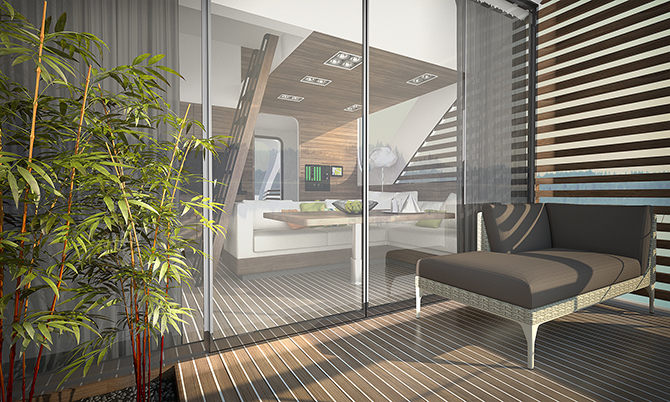 Guests can connect with each other if they’re feeling social, or take their rooms to a more private location. 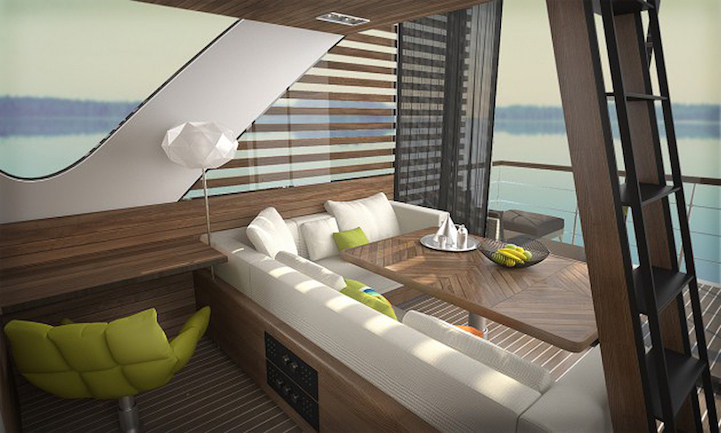 Each catamaran can accommodate two to four people and includes a lofted bedroom, lounge, kitchenette, bathroom, a hall with storage space and a covered deck. Wooden lattice on the sides offers privacy without interfering with the view. 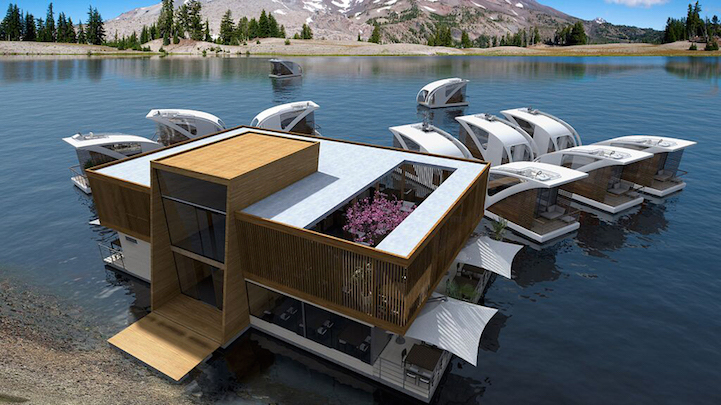 There’s even a beach platform that makes it easy to access the water for swimming, diving, fishing and sunbathing.